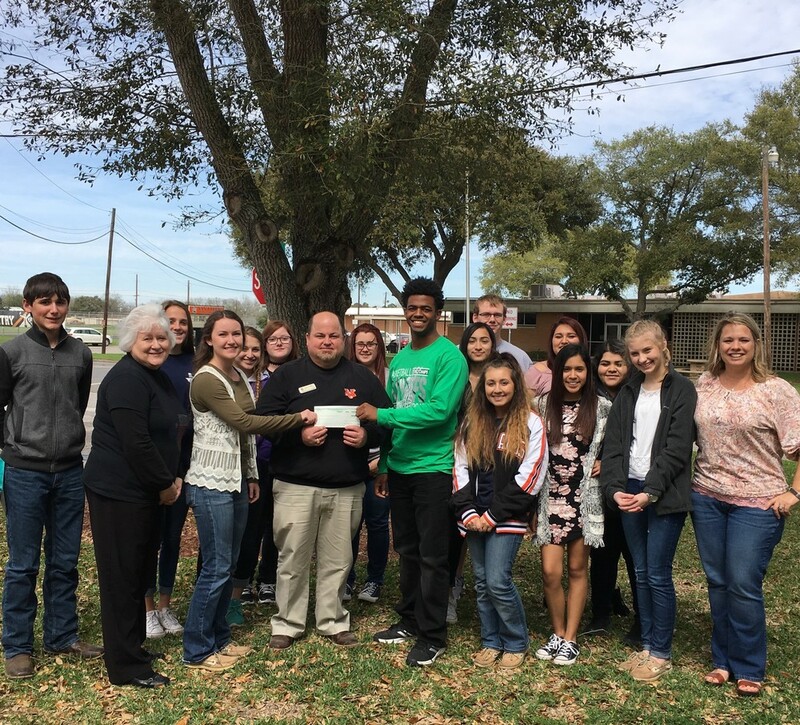 A group of students and staff from Hempstead ISD traveled to Van Vleck ISD yesterday to deliver $1,200 to Mr. John R. O'Brien, Superintendent, students, and staff. The donation came from money raised by the Hempstead ISD family and community members in "Students Helping Students ... Schools Helping Schools" project. Hempstead ISD gave $1,100 and Lighthouse Word Church gave $100. The checks will be given to the VV Lions Club to assist those families still in need of assistance. The VVISD Leopards and HISD Bobcats have crossed paths many times over the years in both academic and athletic competitions, so it was a heartfelt feeling for HISD to help a fellow school district and community during a time of disaster. 17 Van Vleck families were affected by the February 14th Tornado and the VV Lions Club, VVISD community members, churches, and local businesses have worked collectively to get everyone back on the right path.